Facebook Needs OAuth | Flickr - Photo Sharing! That said, and to second your point, this would be a perfect application for OAuth. I hereby propose they rename "Friend Finder" to "practice getting phished." Isn't Twitter doing the same thing here? Yes, and Bebo does it too. 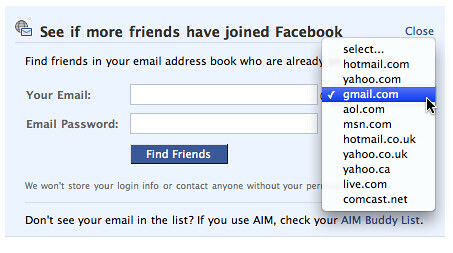 If I'm not mistaken, though, Facebook precedes both of them with this "feature". 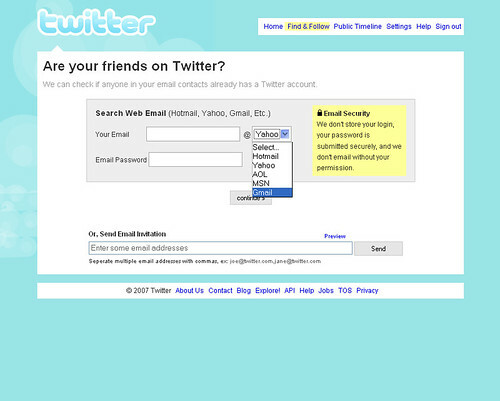 A lot of sites are doing it because a lot of people have email. OpenID and Oauth both fail the mom test for me - can she grok what it is on her own and visualize exactly what would be useful about it without me sitting next to her to explain it? Email passes that test pretty easily - that's the bar for most people. Tons of sites do it, and will continue to do it, until we build a better and safer way to do it. Invite by email still rules the roost and will for the foreseeable future, so it's up to us technonerds to make something better that's also EASIER and SAFER to use. @factoryjoe amen! I wonder - do you have any screenshots mocked up of how you think an oath implementation would go and/or be easier than all this email scanning that's getting more popular? This is an example of a social network anti-pattern, in particular the third party password (3pp) anti-pattern.